I have been busy grafting away ideas for the men in our lives, and here are a few ideas that reflect a variety of different budgets. Stuck to find a little something special to include in their stocking this year? Look no further than the Spotify gift card, which will allow you to upgrade their standard Spotify account to a Premium. You can purchase the gift card for 1,3,6 and 12 months so you can choose to purchase within any allocated budget that may be in place. A month gift card costs £9.99 and the gift card can be emailed straight to your loved one’s inbox for them to use straight away. You can also pick up physical gift cards to wrap up at The Cooperative, Homebase, Argos, Morrison’s and Tesco. 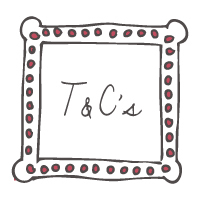 Looking to get your better half a little something from the children? The McLaggan Smith Daddy Rules Mug could be the perfect stocking filler for the avid coffee/tea drinker in your life. Award winning artist Rebecca Winter has made this mug really stand out thanks to the rather fancy crown, and it is sure to put a grand smile on Daddy's face this Christmas. 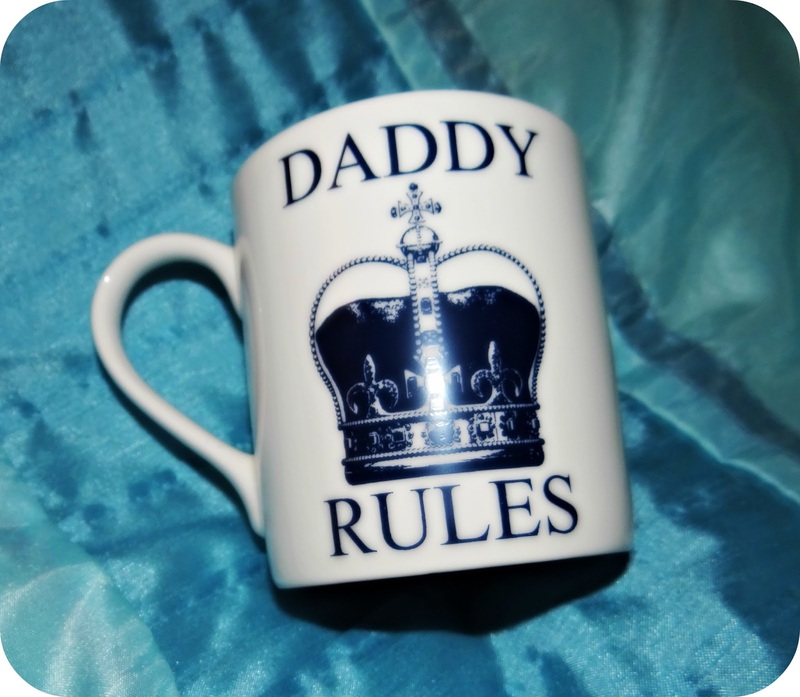 The McLaggan Smith Daddy Rules Mug retails at £14.90 but you can pick it up from Wayfair.co.uk for £10.90. 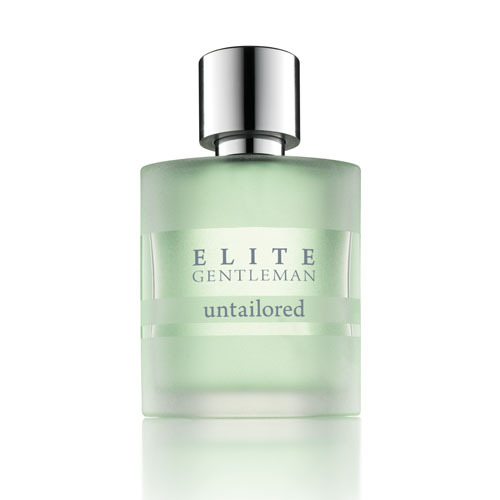 Avon Elite Untailored Eau de Toilette Spray is fresh and boasts refined cypress and heated cashmere woods. A real stocking filler treat for a bargain £7.00. Xqisit Mini Speaker is a Portable speaker for your smartphone, laptop or media player. It's Small and lightweight and delivers incredible sound all at the same time. 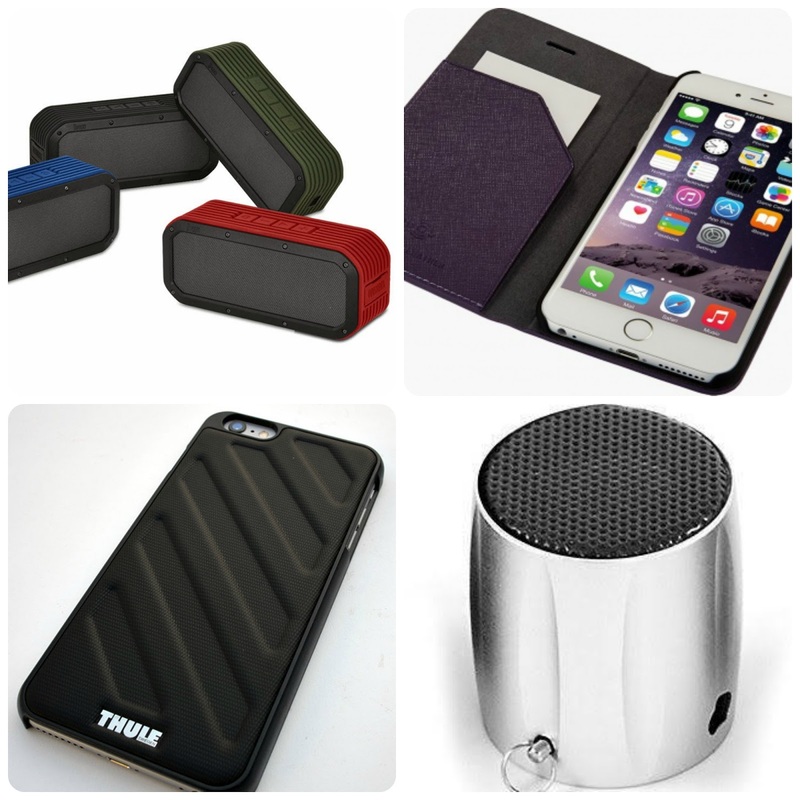 The Aluminium housing offers great protection and even boasts up to 4 hours external audio from a single charge. It retails at £29.99 but is currently on offer at £26.58 at Amazon. QDOS Saffiano Case offers great protection for your iPhone, while at the same time offering a practical solution to taking a wallet out alongside your phone. It is bound in beautiful hand-finished textured leather, holds a handy inside pocket and rigid protection all at the same time. It retails at £24.99 and comes in Purple, Brown and Black. Gauntlet iPhone 6+ Case - Cover your iPhone 6 with a case from the company that knows how to transport your equipment safely, easily and in style. Slim profile slides easily into and out of pockets, Molded texture and easy grip contours provide secure grasp when in camera or gaming mode. The Gauntlet retails at £24.99. CoPilot may just be the one essential app that you need, and is a must for people on the go. 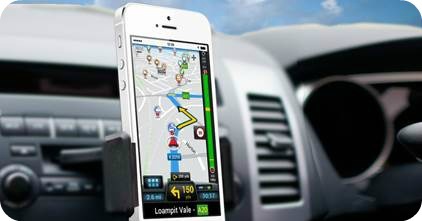 What is really handy about this reliable Sat Nav that you can use directly from your Smart Phone is that it works offline, so this eliminates the worry of data charges that may be applied, or even the annoyance and worry that can occur when you run out of signal and your standard directional app decides to give up the ghost. CoPilot was voted by Which? as ‘ only best sat nav app’ and that is hardly surprising with all of the really handy features that have been jam packed into this one app. One of the stand out ones for me is the ‘ Find my Car’ – Which has actually proven invaluable to me when I have parked miles away and completely forgotten how to get back to the car! CoPilot v9.6.2 is available immediately as a free update for existing iOS, Android and Windows Phone 8 users. CoPilot apps are available from £19.99 for the UK & Ireland version and from £34.99 for the European version and are available on all smartphone platforms. Who doesn’t love chocolate? Even the men in our lives like to indulge at Christmas and quite rightly to. It is the time of year where eating too much is expected! 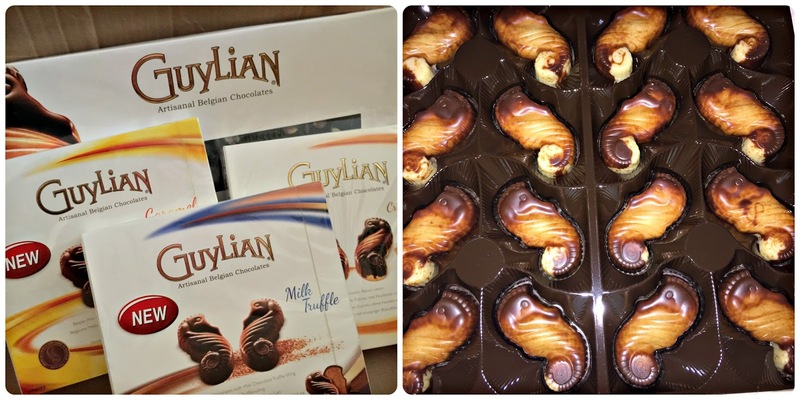 Why not send some Guylians Seahorses this year? With a great selection of different flavours from Original, Caramel, Milk Truffle and Biscuit to Vanilla, there is something to appeal to every chocolate lovers taste palette. 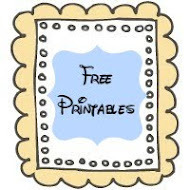 With prices starting from as little as £1.00 (great stocking filler ideas!) ranging up to £4.00 for the bigger collections, budgets won’t be broken this Christmas! 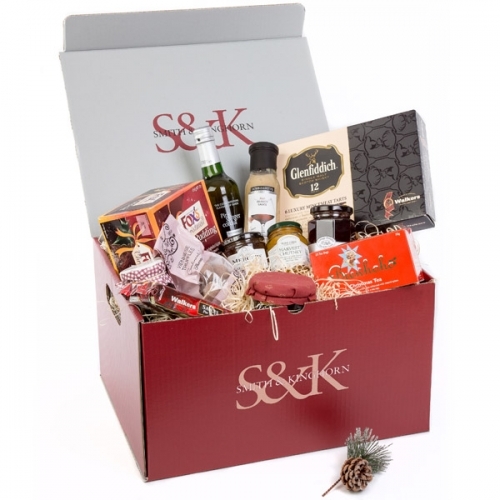 Who doesn’t love a Christmas Hamper full of treats over the festive holiday? An excuse to sit back and relax with a number of delicious goodies that really do make it feel like Christmas. This year Smith & Kinghorn have put together two luxurious hampers for their customers, the Festive Hamper and the Yuletide Hamper, and what’s more.. When you buy the Festive Hamper, you will receive the Yuletide Hamper FREE! The Festive Hamper is full of special treats, Walkers Glenfiddich Mince Pies, Thorntons Truffles and Mrs Darlington’s Cranberry Sauce with Port. It all comes presented in a lovely presentation box making it that extra special. They retail at £49.99 and are available to buy up until the 20th December 2014. Why not treat your other half to a bottle of something special this year? 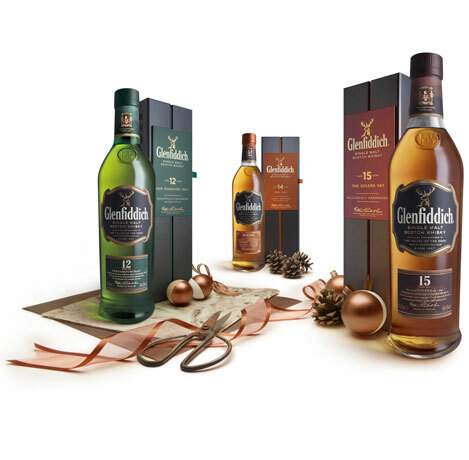 Glenfiddich have a selection of premium gift boxes each containing a bottle of exquisite Glenfiddich Whiskey. The gift boxes range from 12 and 14 year old Rich Oak, or 15 year old Single Malt Scotch Whiskey. The range available has a taste to suit all Whiskey drinkers tastebuds, from the subtle oak flavours in the 12 year old signature malt to the vanilla, toffee and soft nutty notes of the Rich Oak, or the spice, honey and rich fruit flavours of the 15 year old bottles. Does your better half love getting outside? Have a feeling that really… He never got around to growing up? Then why not treat him to a day out at Go Ape!? Where big kids become tree swingers and really get to unleash their wild side. Go Ape is great fun for the entire family, and it was only a few weeks ago that I myself popped along to Wyre Forest and dared pluck up the courage for the Tarzan Swing! 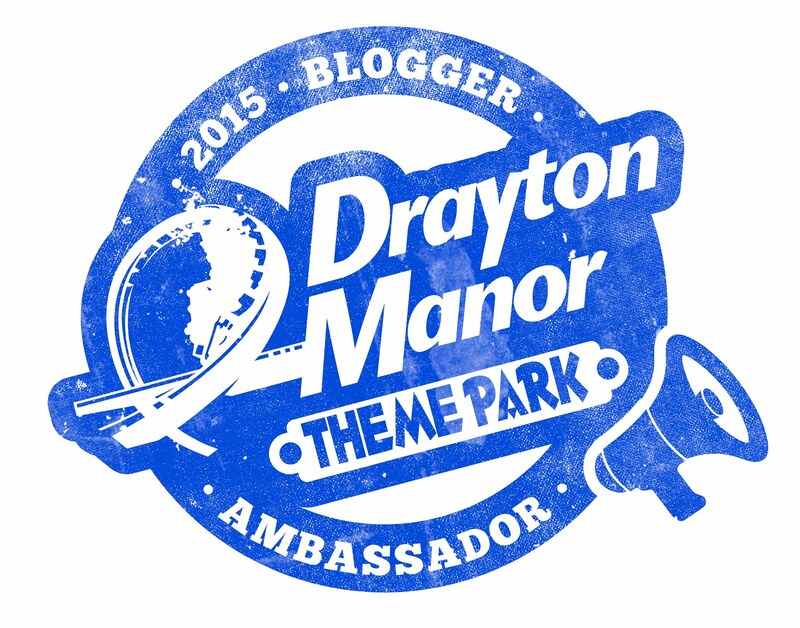 In fact we visited last year and you can read all about that right here. 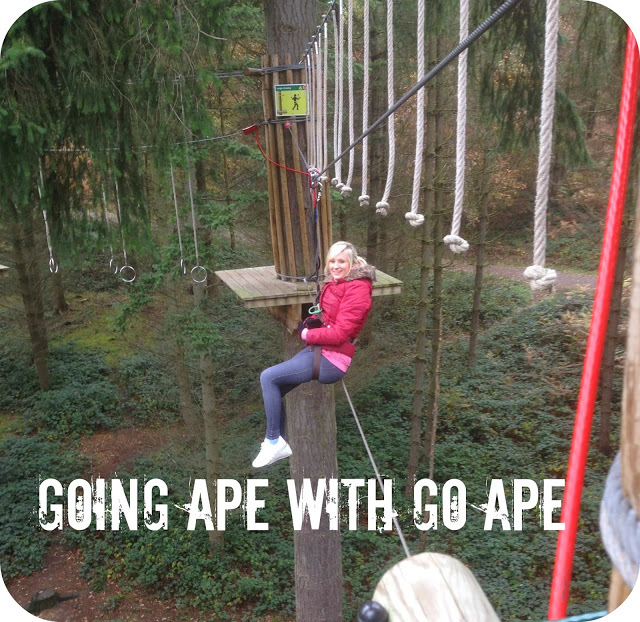 You can purchase Go Ape Experience Vouchers online that can be used at any of the Go Ape establishments, and they are valid for a year after purchase, so plenty of time to make use of them! You can choose a gift voucher balance from £5.00 right up to £100.00, so this is great to tie in with a budget. The men in our lives don't just like to take care of themselves now do they? Think about that lady he keeps out on the drive or tucked away in the garage. His most prized possession. 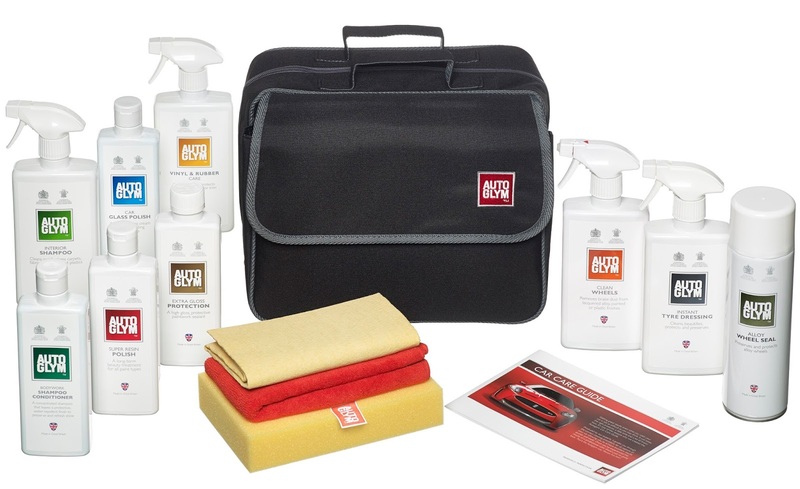 His car... Autoglym have the perfect treat for your man... And the other lady in his life. 'Perfect Bodywork, Wheels and Interiors' is a high end collection featuring 9 products and accessories that will aid in cleaning, polishing and protecting their pride and joy! 'Perfect Bodywork, Wheels and Interiors' retails at £60.00. The Braun Waterflex Wet&Dry Shaver offers amazing skin comfort and a brilliant close shave thanks to it’s contour-adaptive swivel head. This latest shaver combines the highest ergonomic Braun design with non slip grip and the highest German Braun design quality standards. This shaver has been specifically designed for use in the shower and/or with foam to provide you with the best experience. The Waterflex transforms shaving into gliding leaving the skin refreshed and healthy. What a treat for that special man of yours this Christmas? The Braun Waterflex Wet&Dry Shaver retails at £159.99 but is currently on offer at Amazon for £105.00. 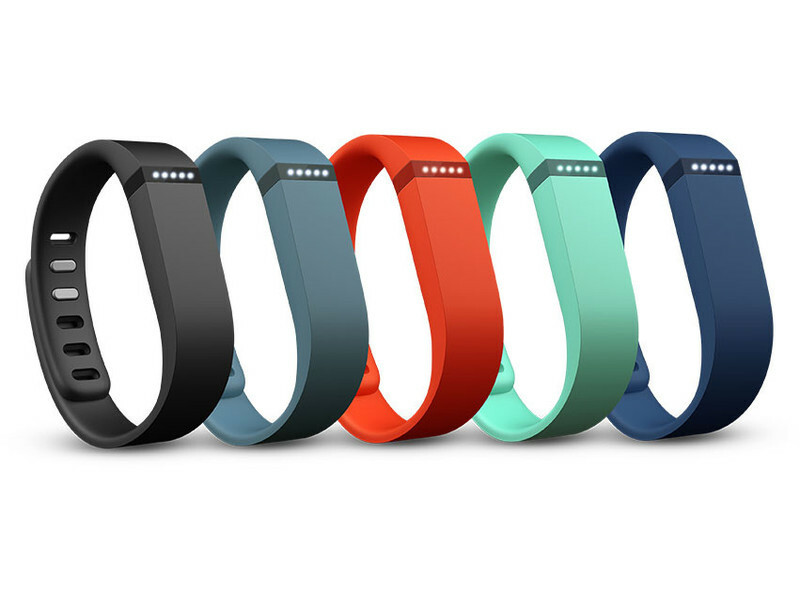 The Fitbit Flex is great little device that you wear on your wrist, it tracks your daily movements from how many steps you take, to how many calories you have burnt through those movements. It can pair up with the My Fitness Pal App and automatically shows your calorie deficit for the day. You can set yourself goals via the Fitbit App to help you achieve your fitness goals, and even keep track of your weight. They come in a range of different colours and retails at £79.99. The Sage Adjusta Grill is another great example for the health conscious man in your life this year, with 2015 creeping around we all turn our thoughts towards eating better and getting in shape (at least after all of the turkey has gone…). This nifty grill can cook a number of delicious meals, from eggs, pancakes, grilled sandwiches to your favourite pieces of meat, it’s an appliance with a great array of functions that you will love having in the heart of your kitchen. You can adjust the feet of the grill to tilt the grill, you can cook flat keeping all of the juices on the grill plate for extra flavour, or you can tilt the grill so that the juices run into the drip tray. 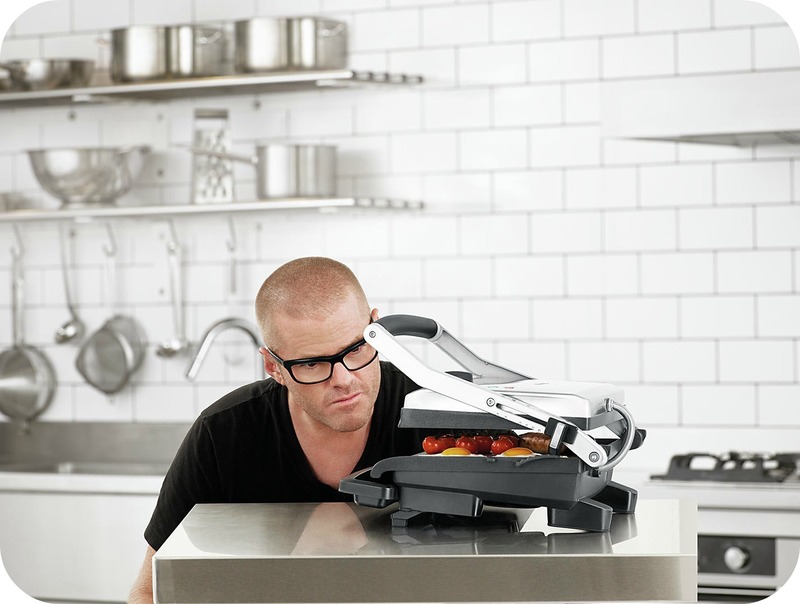 Retailing at £99.95 this baby is set to help you cook lean food for the rest of the year! The Nutribullet will help you kick those Christmas puddings to the curb and set you on a healthier path for 2015. The Nutribullet completely breaks down the food you choose, it liquefies and pulverizes fruits, vegetables, nuts and seeds, a great way to make sure that you are taking all of the goodness out of absolutely everything. What is really super about these machines is you can sneak things that you wouldn’t ordinarily eat inside, for me Spinach and Beetroot.. There are so many recipes to follow for delicious outcomes and all so good for you. 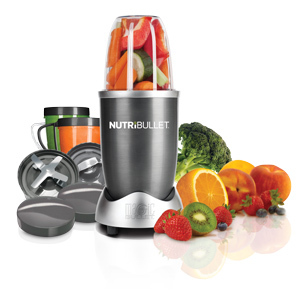 The Nutribullet retails at £99.99. 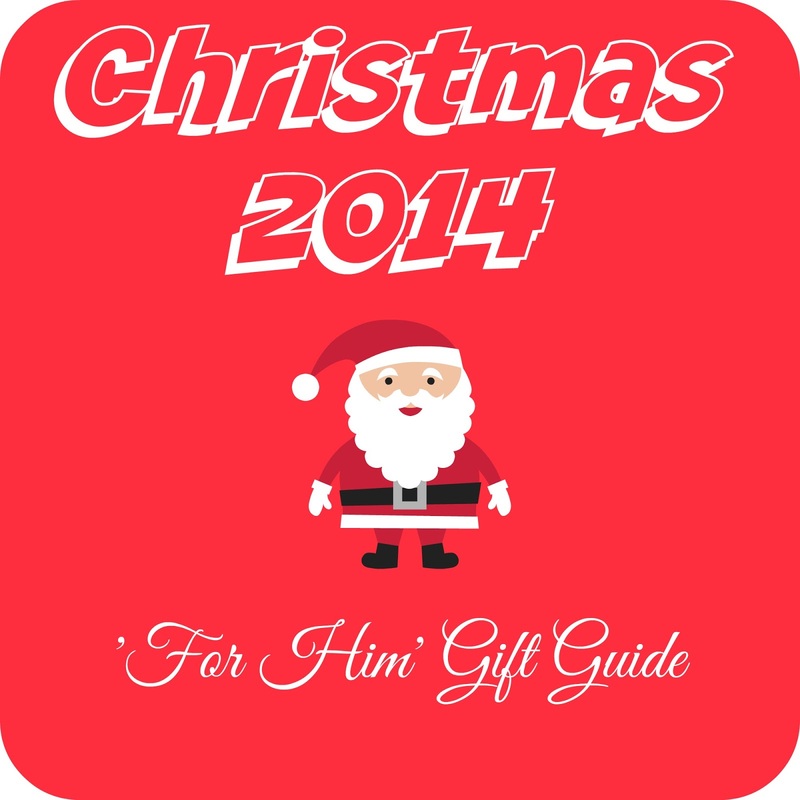 Christmas shopping seems to become more tedious each year, who do we buy for? What would they like? What is our budget? I think sometimes us ladies can maybe even be the hardest people to buy for, so why not use some of these ideas for the ladies in your lives? For the perfect stocking fillers, take a look at the Vaseline Lips Christmas selection. With the cold days taking its toll on everything it touches, it’s only right that we give our lips some extra TLC this Winter. The Vaseline Make Up Bag Collection includes Vaseline Lip Therapy Rosy Lips and Vaseline Hand and Nail Lotion. (Retailing at £6.00). The Vaseline Rosy Lip Pouch Gift Pack includes Vaseline Lip Therapy Rosy Lips in a lovely presentation box. (Retailing at £4.00). The Vaseline Pink Crest Lip Tin Gift Pack comes in a Pink tin along with the full Vaseline collection: Vaseline Lip Therapy Aloe, Vaseline Lip Therapy Original and Vaseline Lip Therapy Cocoa. (Retailing at £6.50). Nothing beats snuggling down under a blanket when the cold winter nights draw in, closing the curtains and lighting a few candles to really enhance the cosines of the room. Well unless of course those candles possess the very best Christmas scents of course! The Country Candle Wonderwick Christmas Collection will make a great gift idea this Christmas, the set contains 3 medium jar candles with wooden wicks that emit a soothing crackle while dispersing the scents of Alpine Lodge, Manor House and my personal favourite Gingerbread! Retailing at £32.50 over at QVC they will make a great gift for any candle lover, or multiple gifts if you decide to split each candle up! Who doesn’t love a little bit of sparkle? I know I do and I am sure I speak for women far and wide when I say that every lady loves a little bit of bling! With the sparkliest month of the year upon us, we dust off our dancing shoes and find the prettiest of outfits for those parties that we WILL be attending! Warren James have a beautiful selection of jewellery on sale right now in time for the festive season, and it won’t break the bank. 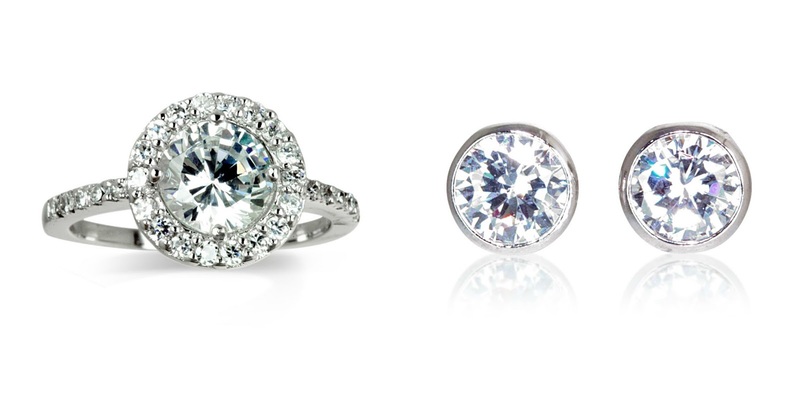 Feast your eyes upon the Rachael Real Sterling Silver DiamonFlash Cubic Zirconia Cluster Ring! Beautiful isn’t it!? With an RRP of £54.00… Warren James have reduced it so a bargain £22.00. Now wouldn’t that look fancy this festive season? And why not pair this ring up with this dazzling pair of Roweena RealSterling Silver DiamonFlash Cunbic Zirconia Studs for only £7.00!? 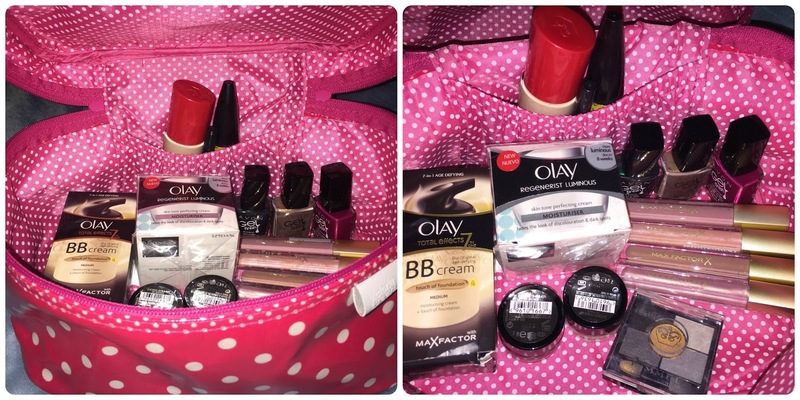 Prepare a beauty bag full of treats! This one is a great gift idea for anyone on a budget, all you need to do is purchase a beauty bag and include a few beauty products. You can be as creative and adventurous as your budget will allow, but it’s sure to be a winner no matter the budget. This kind of gift highlights the thought that has had to go into it, sneak a few of their favourite items inside and you really are on to a winner. 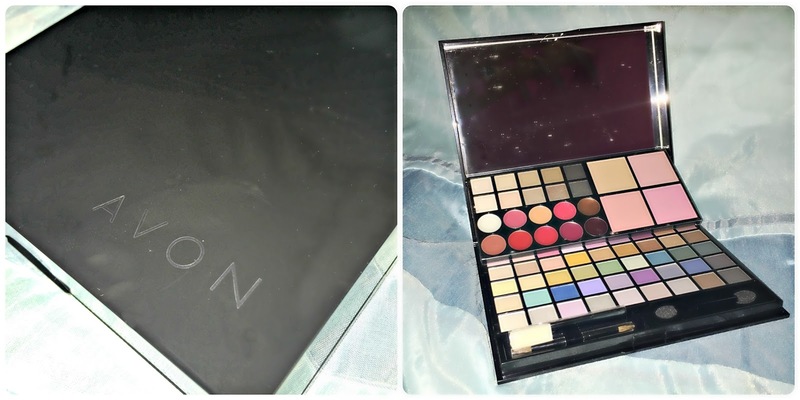 If you are looking to really treat a makeup enthusiast then look no further than Avon’s Master Collection Palette. In all it contains 55 eye shadows, 10 lipsticks and four blushers. It comes packed with three applicators and even boasts a built in mirror. It makes the perfect addition to any lady’s makeup collection this festive season and even has some festive glittery addition’s that you just won’t be able to resist! 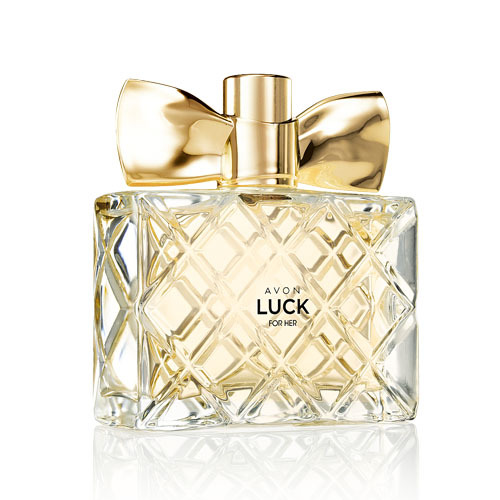 It is on sale exclusively with Avon and is retailing at £28.00. What better time of the year can you give someone the excuse to pamper themselves and encourage them to put their feet up? The Spa Gift Box by Sandy Bay has everything you need to have a relaxing night in, forget the big party nights out. This is where the fun is at! The set includes 1 Rose and Jojoba Bath Salts and Scrub, 1 Lavender & Chamomile Multi Balm and 2 Blushing Rose Candles! This really is a special treat for someone special this Christmas, and it retails at £35.00 over at QVC. 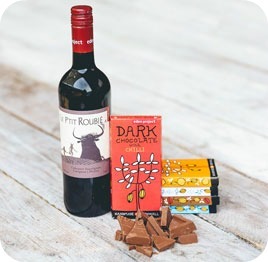 The Eden Project Wine & Chocolate Gift Bag is a lovely treat for someone special, this set comprises of a bottle of Eden Project wine and one of their delicious chocolate collections. If the appeal of Chocolate and Wine paired together in a set is not enough to tickle your taste buds, wait until you hear about the Chocolate treats enclosed inside. The chocolate collection contains five chocolate bars, in an array of mouth-watering flavours! This chocolate set is handmade in Cornwall out of carefully selected fairly traded cocoa. Each bar in the chocolate gift pack and the outer casing has been thoughtfully designed here at Eden by our team of in-house artists. 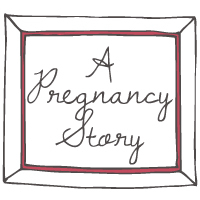 They've illustrated the wrappers beautifully with unusual facts and the story of chocolate. The Wine & Chocolate Gift Bag retails at £22.50 from the Eden Project. This next gift is something I had never come across before, but is a real treat! 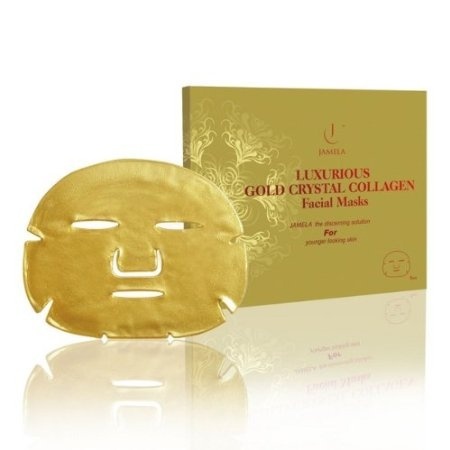 The Jamela 24K Gold Facial Masks is the lifestyle of the rich and famous! That’s right I said 24K Gold face mask, Gold has always been known for its beautifying benefits to the skin and they really are as unique as they come. The mask is one piece that you simply slip onto your face. It instantly feels soothing and I happily lay around for an hour while it did it’s thing! I was really pleased with the effects of the mask, my skin felt smoother and it was just a very relaxing experience. The face masks come in a pack of 5 and cost £49.50. 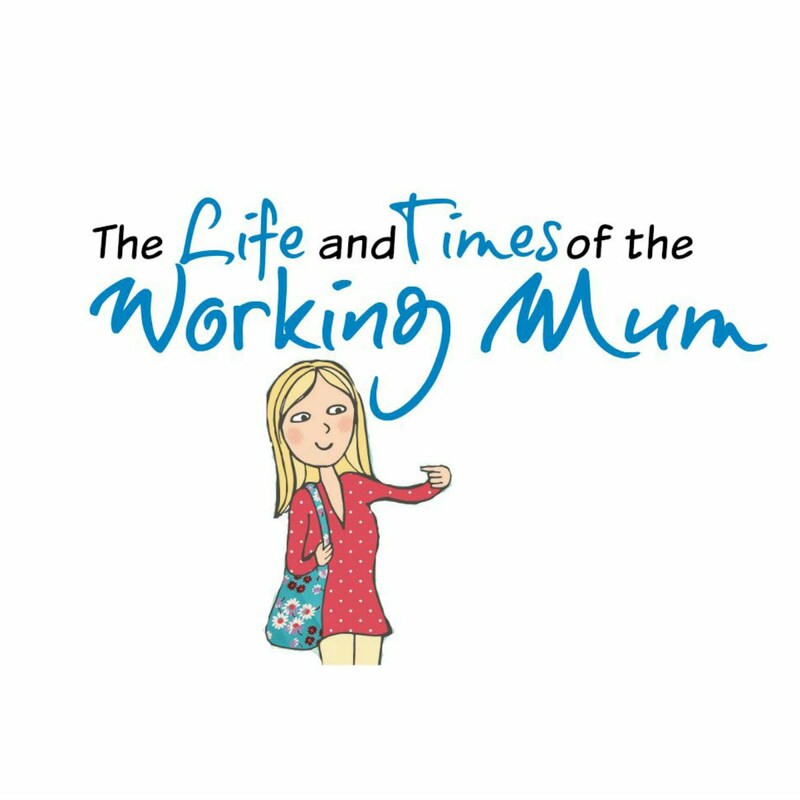 Sometimes getting to the salon for a parent is hard, but we all like to look our best, and when you are juggling a child and daily life, you don’t really want to be sitting in the salon pulling your hair out because of the little one’s getting bored do you? The Rokit Nails Kit may be the answer, salon quality nails that you can do yourself in the comfort of your own home. This set is exactly what it says on the tin, and being someone who cannot paint their nails to save their life… I have been very impressed with this nail set. Retailing at £99.99 and coming equipped with absolutely everything that you need for THE perfect nails, it really is a great buy. Included in the box you will find the Professional LED Curing Lamp, Rokit Lint Free Cleansing Pads, Nail File/Buffer & Cuticle Stick, Rokit Ready, Rokit Remove and Rokit 1 Step Pink Polish. It really is as simple as preparing your nails, applying one coat and setting the Gel with the UV lamp! 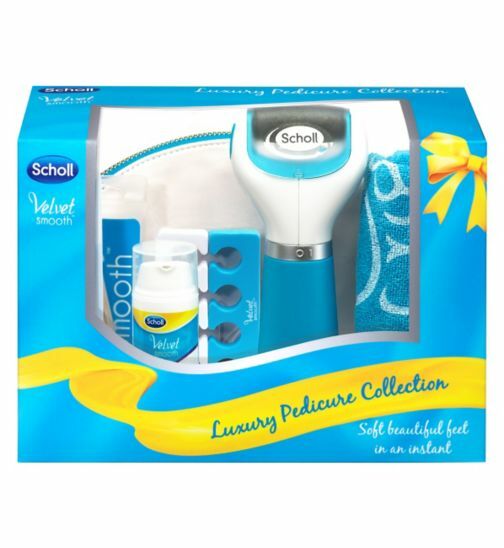 The Scholl Velvet Smooth Luxury Pedicure Set is another great way to help a loved one pamper themselves this Christmas. The set is packaged up inside a pearlescent beauty bag and contains all of the foot care essentials that will get your feet looking like a Million Dollars this festive season! The Scholl Velvet Smooth Express Pedi – This is an electrical hard skin removal device that will leave your feet beautifully soft in minutes. The Scholl Velvet Smooth Intense Serum – It has been designed to provide intense hydration for the feet. The Serum contains Hyaluronic Acid that actually penetrates into the skin, the acid has the ability to retain water which helps to improve the density and structure of the skin. The serum also contains Pentavitin which acts like a ‘moisture magnet’ creating a durable bond with the body’s own Keratin in the uppermost layer of skin. This is so that the water molecules stored in the skin remain there! The Scholl Velvet Smooth Express Pedi retails at £40.00 exclusively from Boots. Who doesn't love a massage? Especially with the harsh reality of Winter upon us, and staying in is a much more attractive idea than going out. The Scholl Muscle Therapy 2 in 1 Precision Massager has been created for that exact reason, and also helps aid muscle injuries and aching backs, legs and shoulders. This clever massager is hand held and comes with three interchangable heads that provide the user with a selection of different massage options. The Percussion Node works hard for a deep tissue massage, with the smooth massaging node working at 900-1200 pulses per minute. The Reflexology Node is more relaxing, using rubberised pinpoint accunodes to leave you feeling refreshed and relaxed after a hard work-out. The Infra-Red Node which acts fast to soothe aching muscles by using an adjustable heat sensor which varies between 35-70 °c , ideal after a long session at the gym or working in the garden. The Scholl Muscle Therapy 2 in 1 Precision Massager retails at £39.99 but is currently on offer at Amazon at £32.57. Shaving for women is one of those tasks that never seems to be done. You can shave and the very next day the first signs of re-growth is back and it’s far from glamourous. I am one of those people who has fallen out of love with the traditional razor and I had high hopes that something new may come along, and it did in the form of the Braun Silk Epil 7 Bonus Edition Epilator. This rather swanky Epilator can be used in both the wet and the dry, so if you are a little nervous about the prospect of epilating for the very first time, don’t be! Run yourself a nice hot bath, get in and relax. Then give the Braun Silk Epil 7 a whirl. It comes with a number of different attachment heads, including a shaver head and a smaller epilator head for those sensitive areas. This bonus edition even comes with the new facial cleansing brush, which means you can now look after your skin from head to toe. The Braun Silk Epil 7 Bonus Edition Epilator retails at £159.99. If epilating is just not for you then maybe you would be intrigued by the HoMedics Duo, I know I was. The HoMedics Duo isn’t a razor, and it’s not an epilator. It works by pulsing intense light (IPL) and used Advanced Fluorescence Technology (AFT) to actually reduce the hair growth. You can use it practically all over, except for your face which you need a separate attachment for. I have just used the second treatment on my legs, and I have found the process simple and easy to use. I don’t find it uncomfortable and I am looking forward to seeing the results. In the long run this could make a great alternative to shaving completely! You can pick the HoMedics Duo up for £179.99. Fancy rejuvenating your skin in time for Christmas? 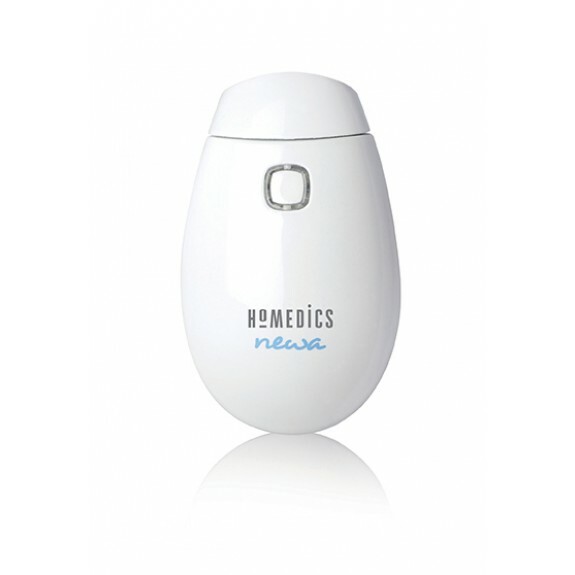 The HoMedics NEWA is a clinically proven skin rejuvenation system that actually removes up to 1/3 of wrinkles while lifting and tighting your skin! The treatment is safe, comfortable, pain free and non invasive! The system can be used on all skin types and promises to be a real treat! The NEWA retails at £199.99. 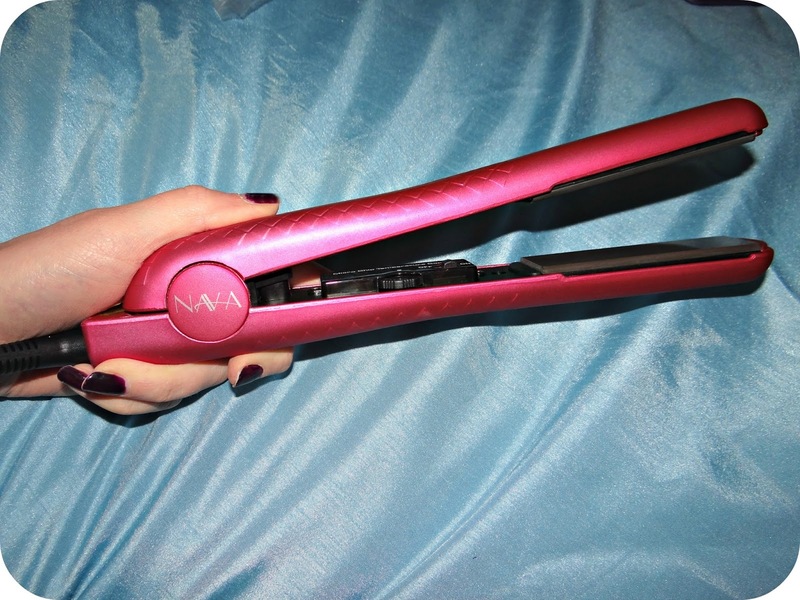 Following on with the pampering theme, how is your fine ladies hair tools looking these days? Could she do with an upgrade? The Diva Chromatix Intelligent Digital Styler has ceramic plates infused with Argan Oil and a top temperature of 220C, with an adjustable temperature dial allowing you to work between 120C upwards. They have a 10 – 30 second heat up time depending upon the temperature you are working with. They come in a rainbow of different colours and retail at £69.99. 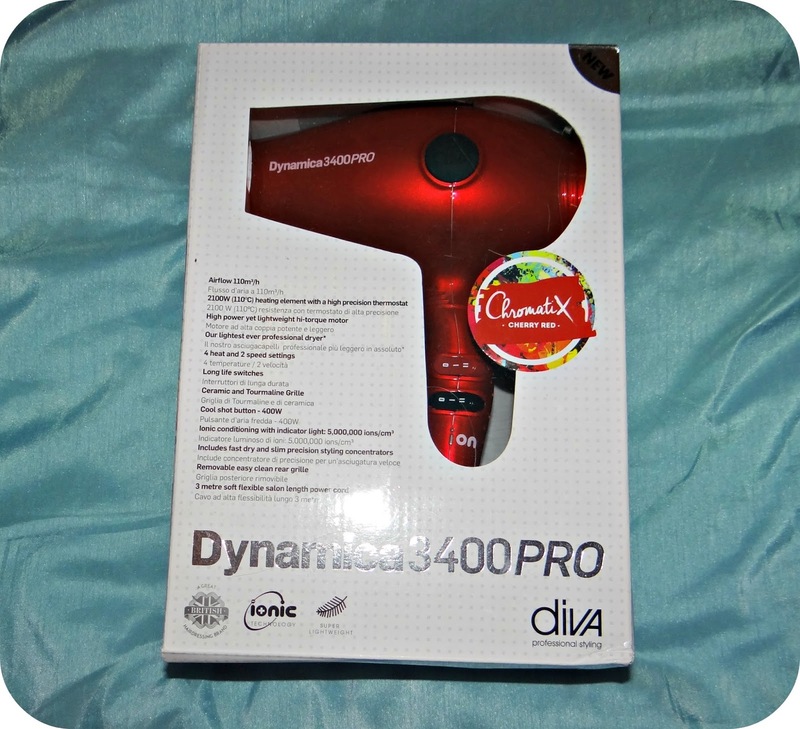 Diva Chromatix DYNAMICA 3400PRO is lightweight but powerful and has been designed for expert results. It boasts ionic conditioning for faster drying, reduced static and frizz for healthy shiny looking hair. It features 4 heat settings and 2 different speeds. They come in a variety of bright appealing colours and don’t cost the earth at £49.99. Give the gift of the get up and go for 2015! The New Year is creeping up and it won’t be long before we are cursing all of that Turkey and delicious Chocolate that we just couldn’t get enough of over the Festive Season… And reaching for our gym pass and trainers. 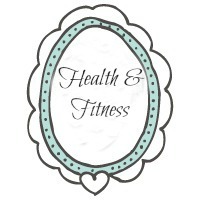 We will be vowing to make this year, the year that we do lose a few lbs and get in shape! I know that for me I say this every year, and although I didn’t start in January.. I did eventually give myself a kick up the bum and do it. This Christmas give someone the gift of the get up and go, a helping hand in getting healthier with the PhillipsViva Compact Juicer. This compact model can sit on your work top without getting in the way, and is always on hand when you need a refreshing drink. The QuickClean extraction system allows you to make up to 1.5l of healthy, fresh juice in one go without needing to empty the pulp container. 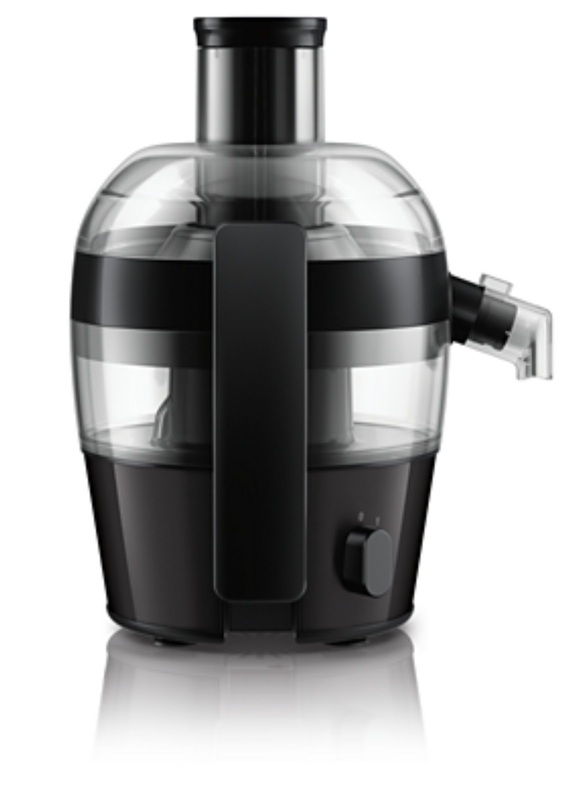 The Phillips Viva Compact Juicer retails at £70.00. My hair has always had a natural wave to it, and there have been points in my life where I have not really known what to do with it. I can remember the first time I discovered hair straighteners, a cousin ran her set through my hair and I couldn't believe that she had managed to tame my wild mane. For the first time my hair was sleek and straight, it ddidn'thave random flicks shooting up willy nilly, and I was so pleased to see it behaving…Finally! I can remember being really frustrated with my hair on many different occasions, I would always have random bits standing up on end that no amount of brushing would relax. So after this magical first encounter I vowed to purchase a pair of hair straighteners for myself. I must have only been around 14 at the time, but now I had experienced straight hair for the first time.. I couldn’t go back to frizzy un-manageable hair. I have been straightening my hair now for the last 11 years and in that time frame I have used a number of different brands, some I have loved, others I haven’t loved as much. 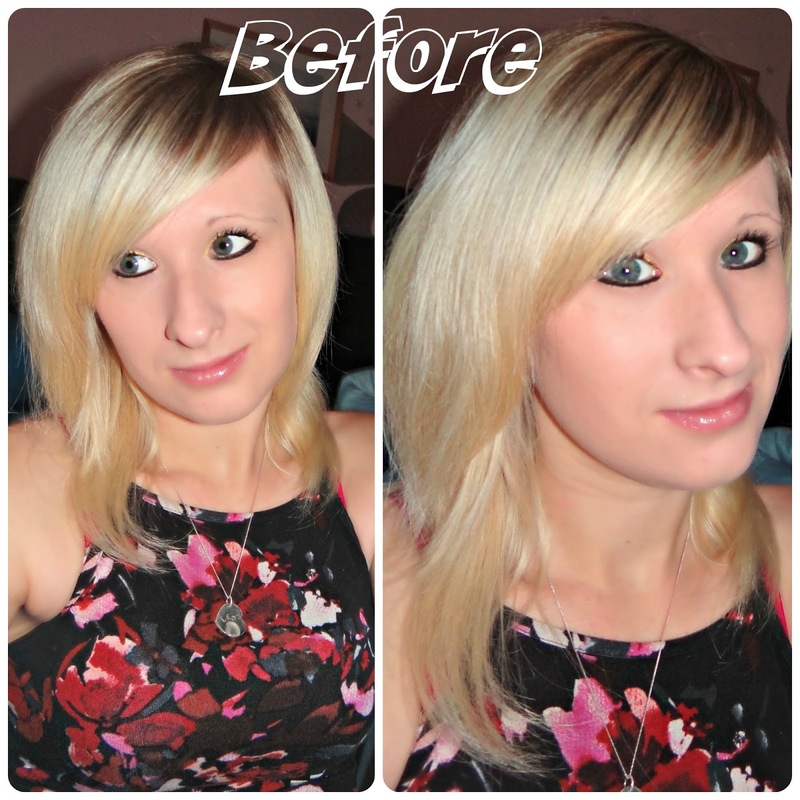 I have recently been given the opportunity to try the Nava Hair Straightener with Magnetic Plates. 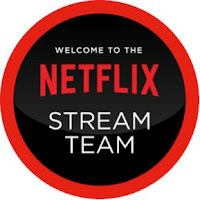 This is a brand that I have not personally used myself before, but I was looking forward to seeing how I got on with them. 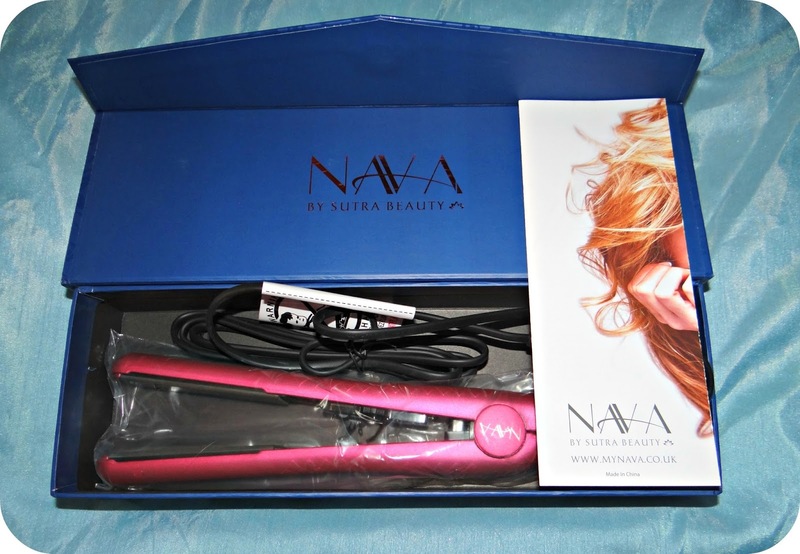 The Nava Straighteners arrived in a smart presentation box and looked every inch the part, they boast a 360 degree swivel cord and heat up to 450F. 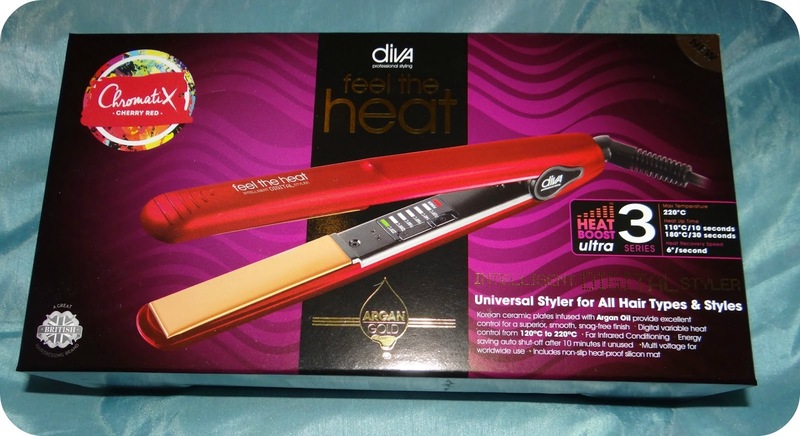 I had been instantly impressed with the specifications, but was this hair straightener going to live up to my high expectations? I have been using the Nava straighteners for the last few weeks now over my usual pair of GHDs, and I have to say that it is giving them a run for their money, and at £79.99 (soon to be £99.99) they are a fraction of the £130+ I spent back in August. What really stood out for me was the temperature control dial, I can vary the heat depending upon the results I want to achieve, and where I am using the straighteners. I liked that I didn’t have to use the full heat setting when doing my fringe, as I have found in the past that my fringe is the first to react to the heat resulting in split ends. The straighteners don’t take long to heat up, but I did have to have a guess as to when they were ready as there is no alert to tell you. My GHDs beep to let me know that they are at temperature, but I wasn’t 100% with these. 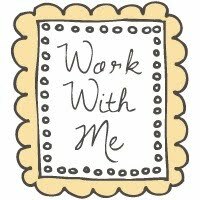 Once you have established that they are ready you can get straight to work, and I found them a dream to work with. They are light and easy to manoeuvre around your hair, and they glided right through to the ends. The long cord aided the ease of the Nava and it didn’t take me to long to work my way around the entirety of my head. 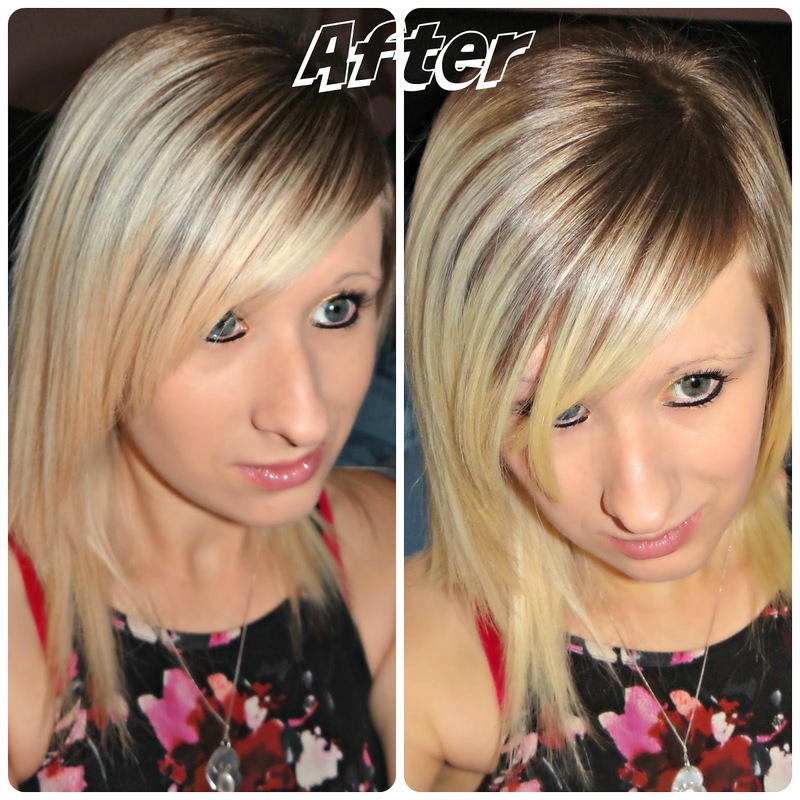 As you can see the straighteners have done a really good job, and I am really pleased with the performance value, not to mention that they come with a lifetime guarantee! This guarantee alone is very impressive, and I have never owned a pair of straighteners that offers this. Years ago I was buying a new hair straightener every couple of months due to the cord becoming faulty and not connecting properly to the straighteners. This was obviously a common fault with the brand, but there was no form of warranty in place, which in hind sight they probably should have had. So to have this peace of mind from Nava, and to see their confidence in their product, you know you are in good hands. 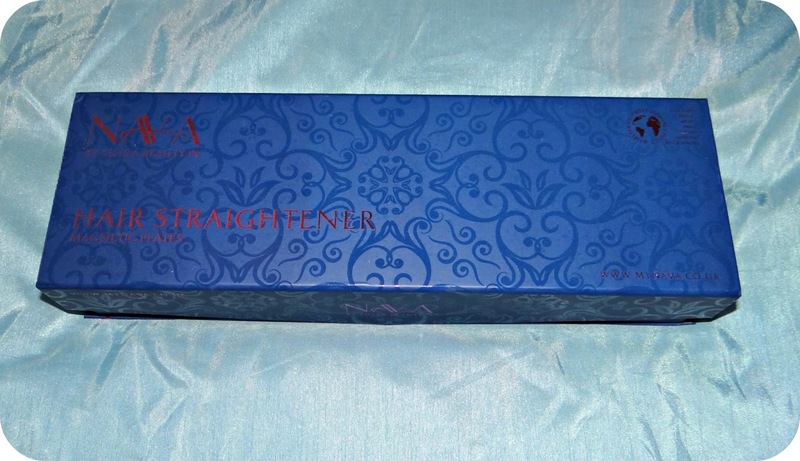 Over all I really like the Nava Straighteners, they are great value for money and promise to serve you for a long time. 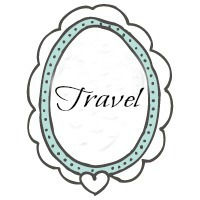 So if you are stuck for Christmas ideas why not take a closer look at Nava? Disclaimer: I was sent the Nava Hair Straighteners for the purpose of this review, but all views and opinons expressed are completely honest and my own. Since the Summer began I have been blogging my journey to a healthier me, as it stands I have currently lost 23lbs and fallen in love with the gym. So evenings that used to be spent pouring my inner most thoughts into blog posts have become less of a daily routine, as my gym time has increased into most evenings to accommodate for the results I want to achieve. Back in September I was asked to take part in a 6 week challenge with Inner Me Health, Beauty and Vitality Supplements, and their Daily 4 Me Younger Years for Teens and Twenties Supplement. I thought this would be a great time to try them out as I had been focusing so much of my effort on becoming healthier, and I thought the two would go hand in hand. 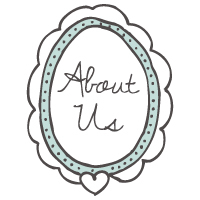 Inner Me was founded by Nikki Cooper back in 2012, after she was diagnosed with Multiple Scelrosis back in 2009. Following the diagnosis Nikki went on a mission to find supplements that would help her optimise her health and wellbeing. 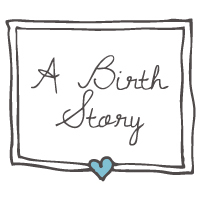 Nikki was confused about the selection on offer and couldn’t find anything that really spoke to her, and that was the moment that the first thoughts for Inner Me were born. In the years following the diagnosis and extensive research that was put into finding the best supplements, Inner Me arrived in 2012 changing the days of monotonous and daunting supplement products for ever. 1 – Tailored Multivitamin and Mineral Tablet – This tablet has been tailored for menstruating women. 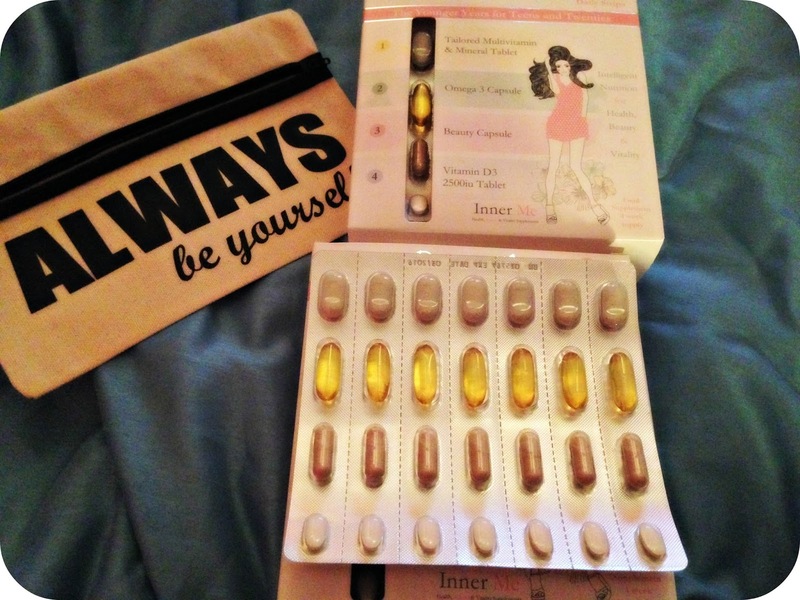 3 – Beauty Capsule for skin hair and nails. Inner Me is perfect for people who want to make a conscious effort in taking care of themselves from the inside. I was always one of those people who loved the idea, but actually didn’t have a clue when it came to looking at the products available to me. 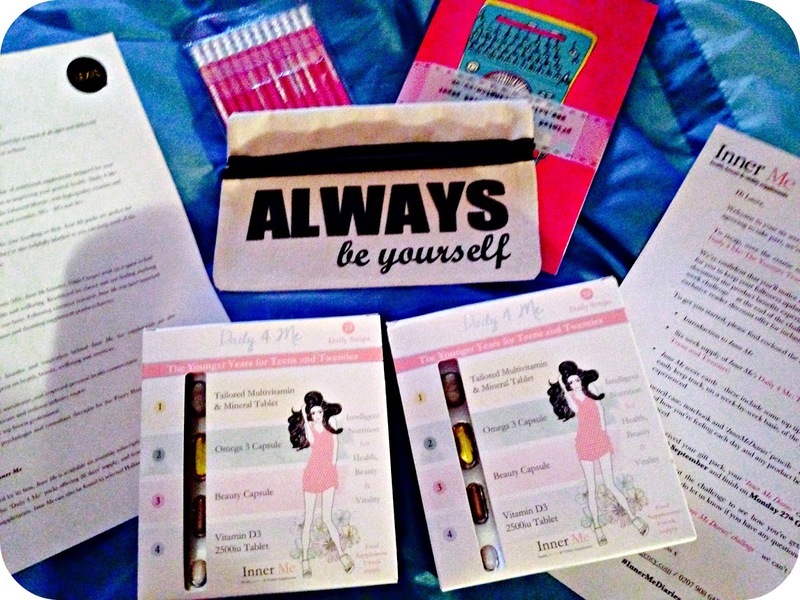 The Daily 4 Me pack’s have all been tailored to a particular stage in a woman’s life, Teens & Twenties, Thirties & Forties and Fifties & Sixties that ultimately provides an advanced, convenient and all in one solution. I found the challenge simple to follow, and thanks to the handy strips I found that I was remembering to take them. I could pop them in my hand bag and take them with my on my day, I didn’t rush taking them and would simply take them steadily throughout the day. I don’t think I would like having to pop 4 tablets down my neck one after the other, and I found spacing it out helped. I found that a few of the tablets would leave a after taste, but the only one I really didn’t like was the Vitamin D3 tablet, which I found left more of a persistent after taste than the others. I finished taking my 6 week supplements on Wednesday 29th October, and over the course of the #InnerMeDiaries, even from that very first week in, I found that the supplements boosted my energy considerably. I felt more awake and had more get up and go which of course it always welcome! As the weeks went by, I noticed improvements to my skin as spots were kept at bay with no new ones leaping out and taking hold. I saw improvements in my nails that were once easy to bend, now becoming stronger and I even managed to keep them long enough to treat them to a polish! 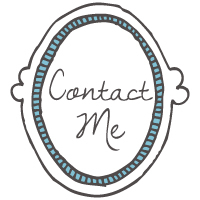 Over the 6 weeks I have been really impressed with the Daily 4 Me Younger Years for Teens and Twenties Supplement, and I admit that when I initially entered the challenge, I didn’t think I would notice any changes, so when I started to see these changes I was really pleased. I am really excited to be able to bring a discount to any of my readers who would be interested in trying the Daily 4 Me range! If you simply enter LATWM at the checkout to buy One Months supply, you will receive the second month absolutely free! If you are planning on giving them a whirl, I would love to hear how you get on! Disclaimer: I was sent the Inner Me Daily 4 Me Younger Years for the purpose of this review. All views and opinions are completely honest and my own. What is the Fortune Finders? Money&Co.’s Fortune Finders game will last for 10 days and feature six hunts. 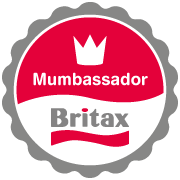 Participants will have the chance to win an investment fortune of £10,000 and five prizes of £1,000 to invest. Each gem provides a unique code and participants must obtain the codes from all six hunts to have the opportunity to win the £10,000 grand prize. People will be able to unlock secret entry forms for the mini prize draws of £1,000 which will become available every two days. Surely, there is a catch? Nope, no catch. Money&Co. are simply launching this game to show how easy it is to invest money on their site. They want to promote one simple message: that making money shouldn’t be so hard. So, where can I play it? The game is easily accessible on smartphones, tablets and computers as it is browser based. This means you can hunt for the treasure wherever you are. Updates about the £10,000 Fortune Finders can be found on Twitter by following @MoneyandCoUK and by using #10grandhunt. Money&Co. 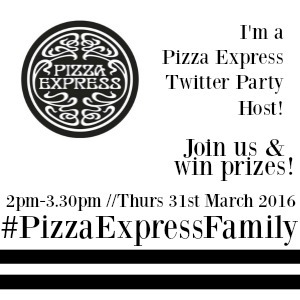 can also be found on Facebook, and a Twibbon has been set up so that everyone can load the gem onto their social profiles. 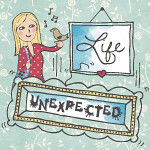 You can start discovering gems from Wednesday 12th November by clicking on this link. Wow, I’ll have a go then! You don’t have much to lose really. It’ll be Christmas come early if you’re the lucky winner of £10,000 to invest! 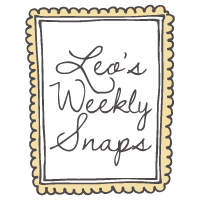 I am a big believer in getting involved in Leo’s play, and as one of Leo’s favourite pastimes happens to be scooting, I wanted to get involved and join in with the fun he has. Leo is getting to an age now where he is using his scooter more and more, and we are even beginning to take it out and about with us so that if he gets tired he doesn’t have to walk. It is also a way to encourage him to walk more and stay down on the ground, because 9 times out of 10 he will usually demand to be carried. Micro Scooter very kindly sent me the Micro Floral WhiteScooter so that I could attempt to keep up with my toddler, and over the last few months I have been putting it through its paces and have been really enjoying using it. In fact Leo has been really enjoying me using it too, it has given a lot more opportunity to get outside and play in this beautiful weather we have been graced with of late. The Micro Scooter arrived very quickly after the order was placed, I was kept up to speed with where it was at any one time and also told when it would be arriving. I could not fault the Micro Scooter website if I tried, everything is clearly laid out and easy to navigate and the order process is fantastic. The scooter was delivered by courier and I was impressed with how promptly it arrived from the point of order. The scooter required no assembly and was just a case of popping up the handle, and it was ready to hit the great outdoors with my little man. 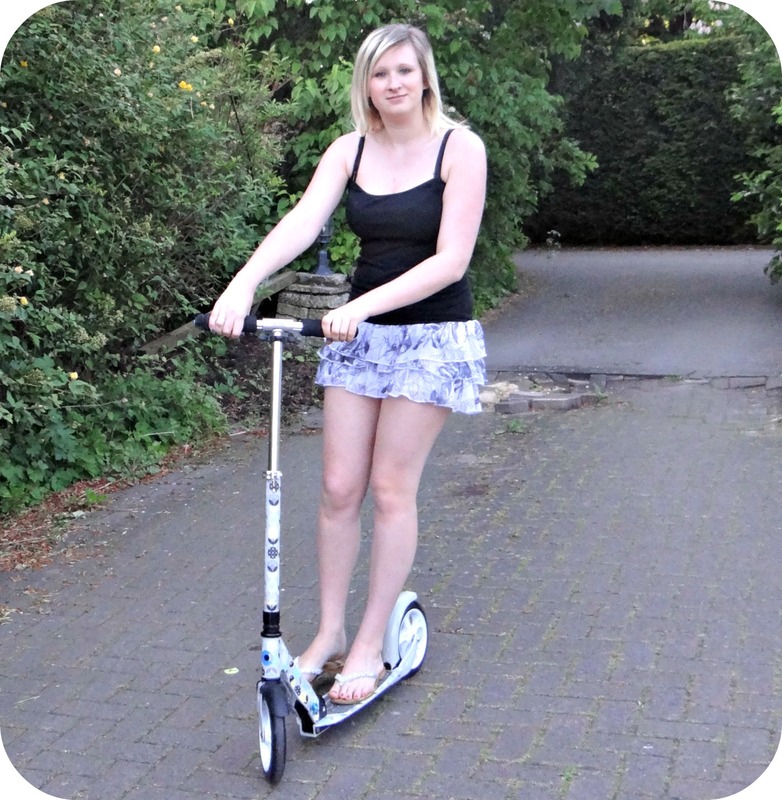 The scooter handles really well and after I found my confidence (having not scooted since I was a child!) I was keeping up with Leo no problem, and he absolutely loved that his Mummy had her own set of wheels. 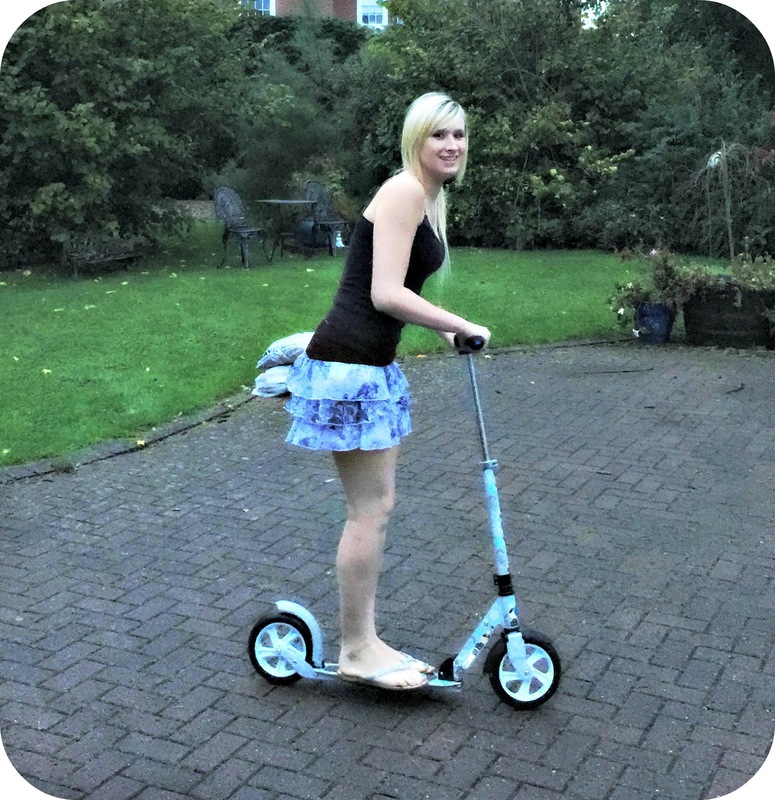 The scooter has been perfectly designed for adults (or bigger kids in my case) and boasts a larger frame and bigger wheels in order to allow taller riders to enjoy scooting, and even get out and about with the kids. 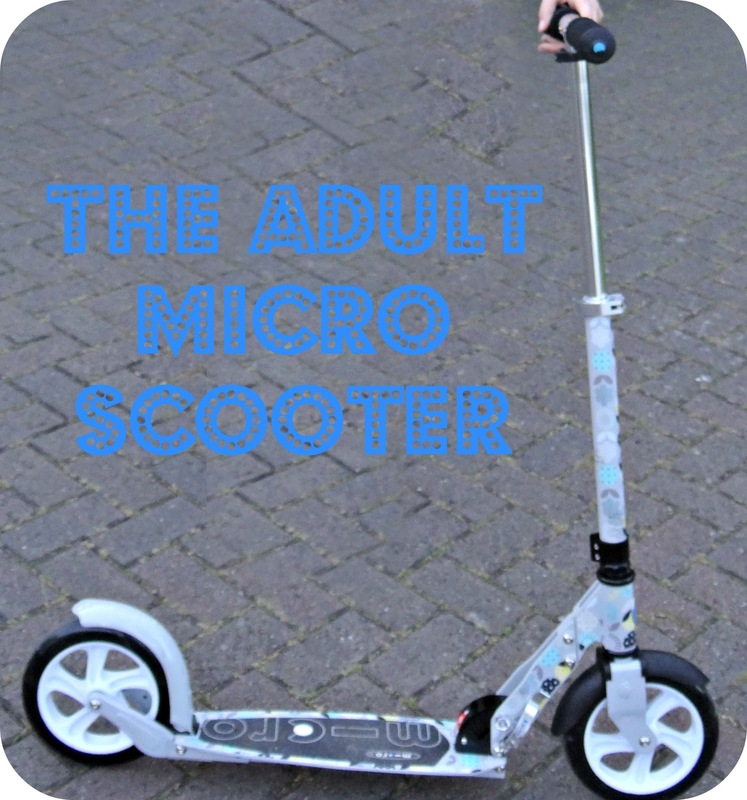 The handlebar is height adjustable so I can quickly and easily adjust this within a few moments, this means that regardless of your age or height, you are never too tall to enjoy the Adult Micro Scooter! The fact that I can fold the scooter down to cart around with me is just super, and it will come in really handy when we go away as a family. Leo is so pleased that Mummy has her very own scooter, and the novelty hasn’t worn off. Having your 3 year old invite you out to play has to be the best feeling ever! Driving the scooter has proven incredibly easy, it’s simple a case of leaning and steering the scooter in the direction that you wish. It glides along smoothly because the deck is lower to the floor, which is also good in case I mis-judge the steering and decide to throw myself off. 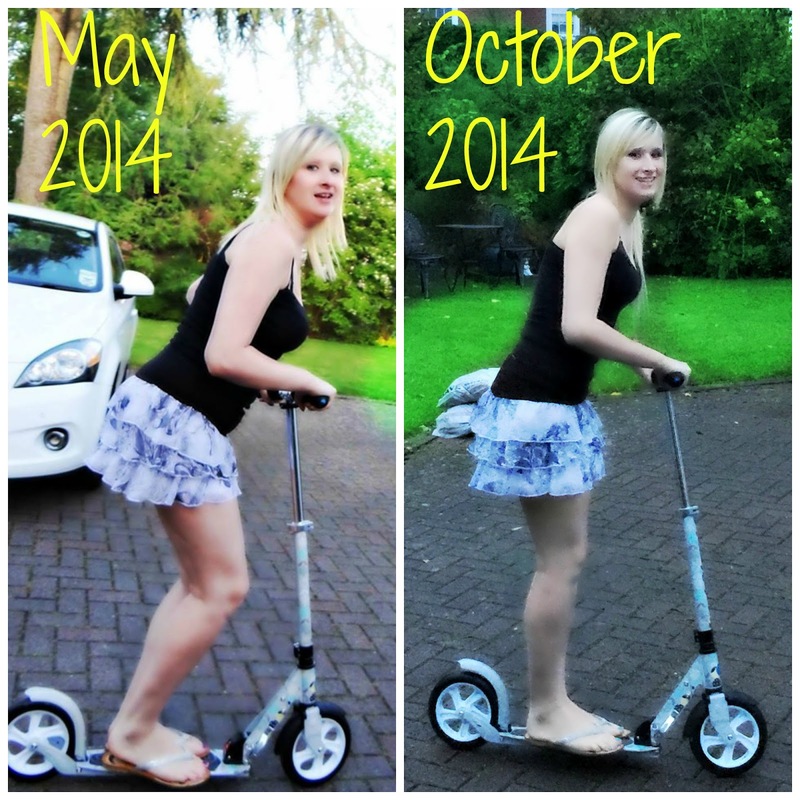 I would be telling a white lie if I said I hadn’t got a little carried away with my scooting! I personally loved being able to scoot the summer days away with Leo, and now he is getting older there is going to be so much more opportunity for us to get out and about on our scooters. 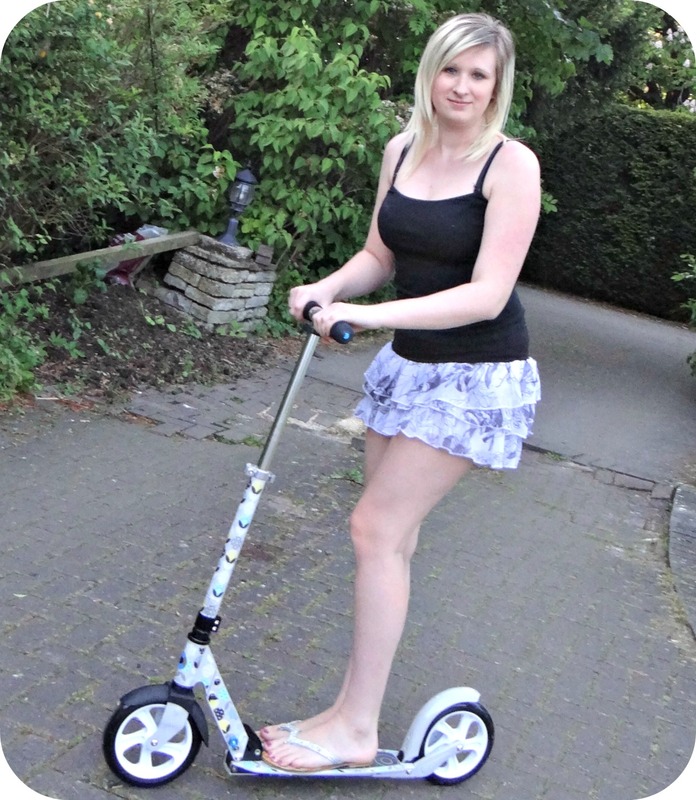 Your only as old as you feel, and I think I am destined to be a big kid for the rest of my days, so one day when you come across a scooting Granny, the chances are that it is me on my much loved Floral White Micro Scooter. You can check out the full Adult Micro Scooter range on their website, and you can pick up the Floral White Micro Scooter for £169.95. Disclaimer: I was sent the Floral White Micro Scooter for the purpose of this review. All views and opinions expressed are completely honest and my own. 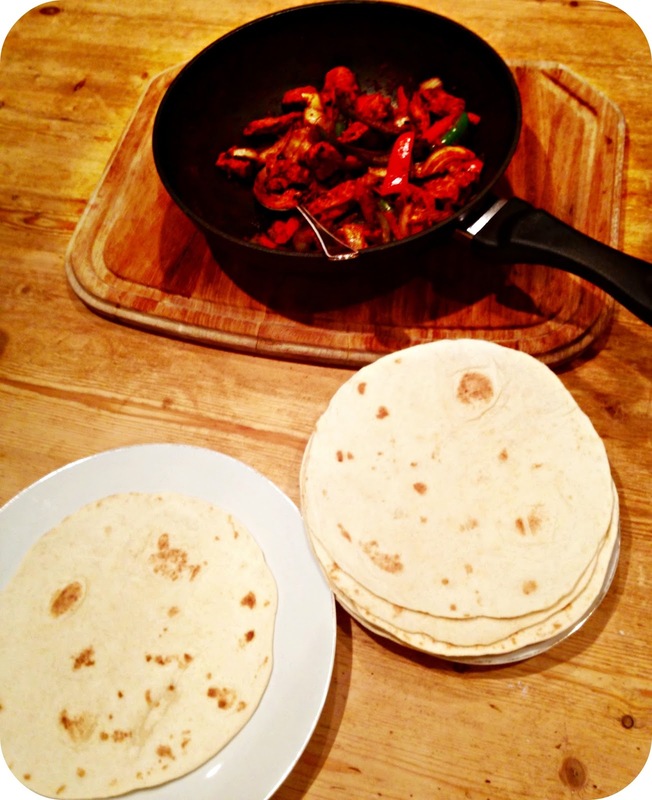 It is no secret that I like my food, I have an appetite that could keep up with any man (even if I don’t care to admit it), and one of my favourite meals without a shadow of a doubt is Mexican, and more to the point, Fajitas. There was a point where I was eating Fajitas on a weekly basis usually on a Friday night. 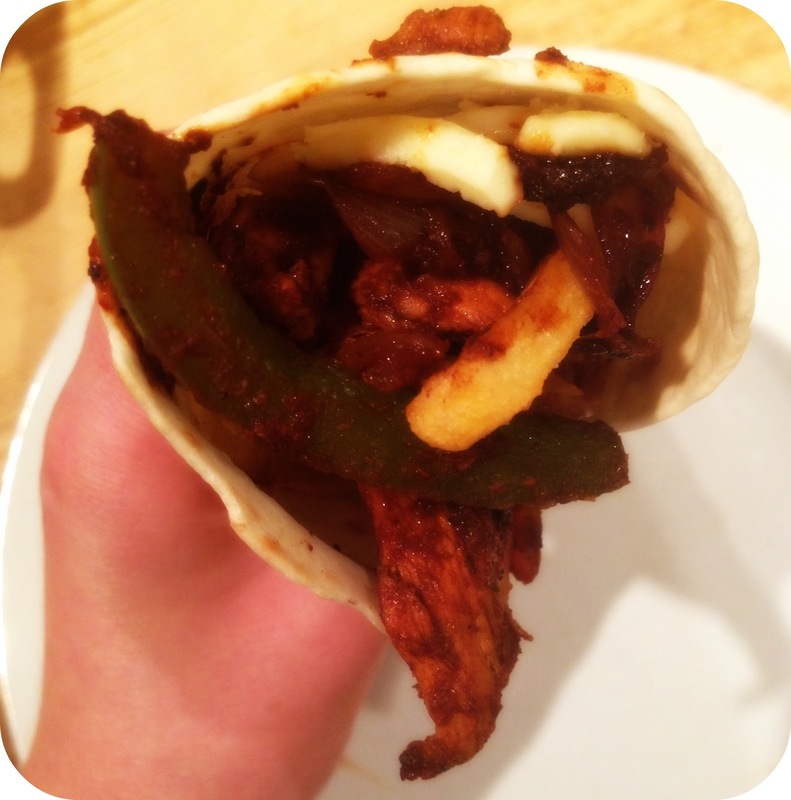 The spicier the Fajita the better, and ample amounts of cheese are the recipe for my perfect Fajita. 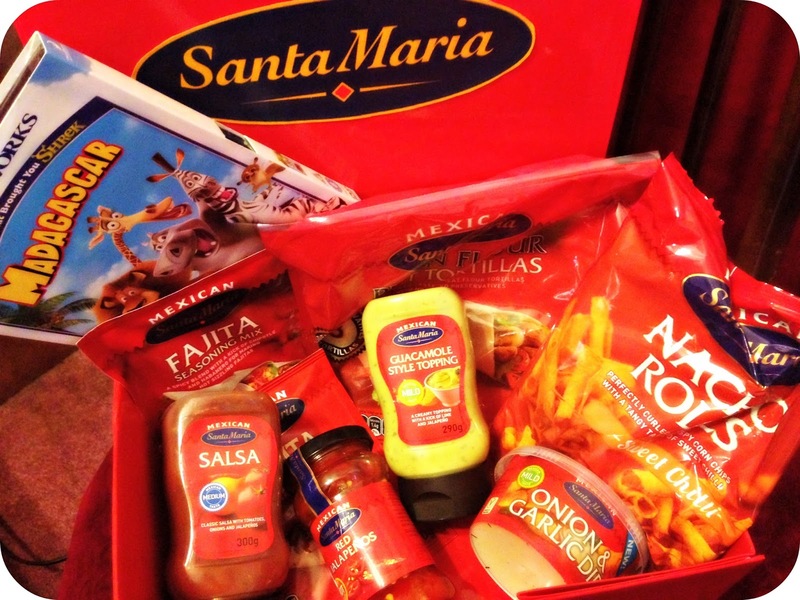 Santa Maria, formally Discovery Foods recently set us a rather exciting challenge, they wanted us to cook up the perfect Mexican feast with our families and very kindly offered to send us everything that we would need in order to do so. They even treated us to Madagascar on DVD so that we could enjoy a proper family evening, with tasty food and a good film on the television. A few weeks ago Leo and I decided to have a selfish night, we shut out the world and cooked up a Fajita storm in the kitchen. The chicken was sizzling in the pan, the peppers and onions were all chopped and ready to be thrown together, and it all smelt beautiful. The table was set with grated cheese and sour cream, the wraps were ready to be filled, and Leo was excited about his dinner. One of the reasons I have always loved fajitas is for the convenience of a family meal, it allows Leo to get involved with what he is eating. 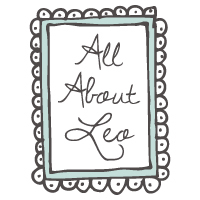 He can put in exactly what he wants, which usually consists of chicken and cheese (obviously he couldn’t possibly have any pepper in there…), it means that Leo can enjoy exactly what we are eating and I don’t have to faff around with a million different meals. 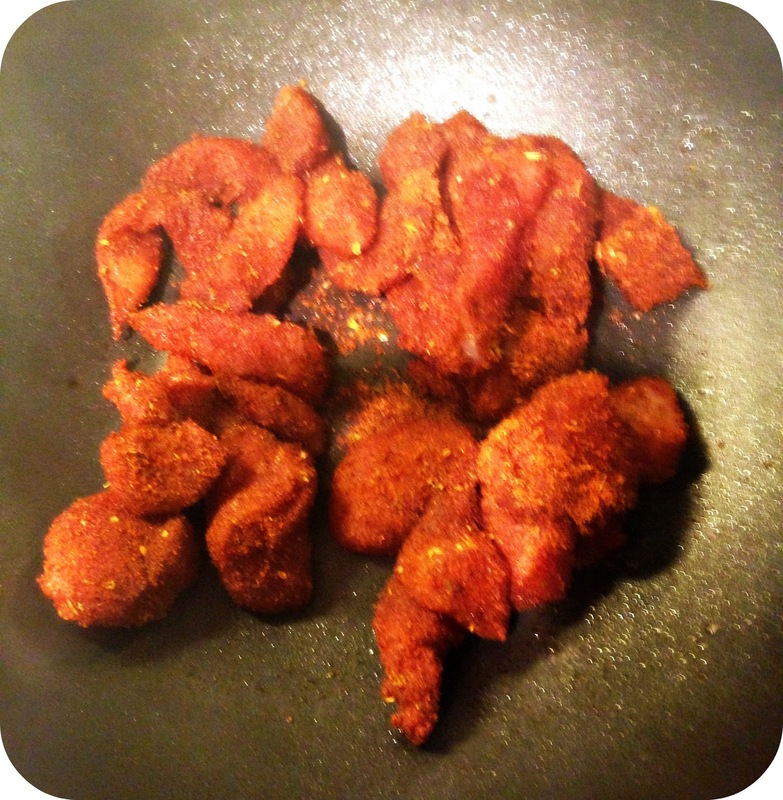 We used the mild spice mix as Leo was dining, but I love the spicier of the mixes for when I am cooking for just myself. As always the food was incredibly tasty, and I came away weighing a few lbs heavier, but it was all worth it for that comforting full feeling that you only get after a delicious Mexican meal. With Leo and I now full to bursting we decided to snuggle up in bed and watch Madagascar, this was the first time Leo had seen the original film, and to say it was a big hit is a little bit of a understatement. He LOVED it! We whipped out the Cadbury’s Chocolate and the Skittles that I had bought in especially and enjoyed some quality time, just me and my favourite 3 year old. It was a lovely evening and I have no doubt that we will be cooking up Santa Maria very, very soon. Disclaimer: I was sent the Santa Maria samples and DVD for the purpose of this post. All views and opinons expressed are completely honest and my own.